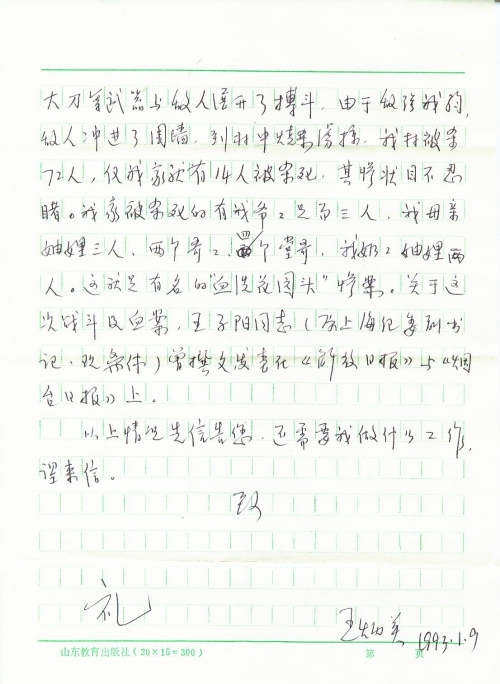 Other details:I learned from the “Readers Reference Series” that Tong Zeng and you are working for a just cause. I respect you very much. On March 18, 1938, the Japanese Army invaded Jiaodong, and my grandfather and other villagers together put up resistance. 72 people in the village were killed, and 14 persons in my family were killed. This is the widely known “Huayuantou Massacre”. If you need me to do some work, please contact me. 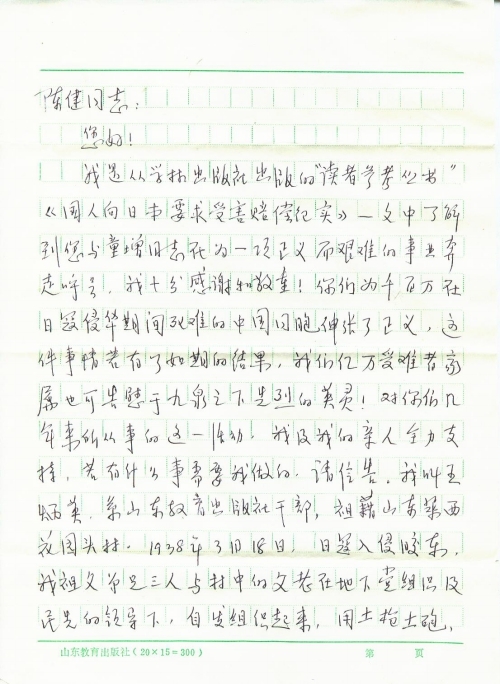 I learned that you and comrade Tong Zeng have been working hard on a difficult but just cause by reading the article “A Report of the Chinese People Demanding Reparation from Japan”. The article is published in Collection of Readers’ References. I’d like to express my deep gratitude and respect to you for seeking justice for millions of Chinese compatriots killed during Japan’s invasion of China. Justice for victims may help millions of victims rest in peace. My relatives and I fully support your campaign . Please write to me if you need me to do anything. My name is Wang Bingying. 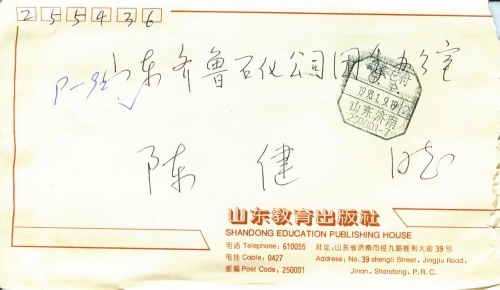 I work as a cadre at the Shandong Education Press. I was born in Huayuantou Village, Laixi, Shandong. On March 18, 1938, the Japanese army invaded Jiaodong Peninsula. My grandfather and his two brothers spontaneously teamed up with other villagers to fight the enemy using weapons such as hand-made guns, hand-made cannons and big knives under the leadership of the underground Communist Party and the Chinese National Liberation Vanguard. The Japanese military force were better equipped and trained, they succeeded in breaking the enclosure and entered our village murdering, burning, Seventy-two people were killed. Fourteen of them were my family members, including my grandfather, his two brothers, my mother and her two sisters-in-law, my two elder brothers, four elder male cousins, my grandmother, and her sisters-in-law. This atrocity is known as Huayuantou Massacre. Comrade Wang Ziyang (former deputy secretary of Shanghai Commission for Discipline Inspection, retired) once published an article about this massacre in Jifang Daily and Yantai Daily. The above is what I want to tell you. If you need me to do anything, please write to me.